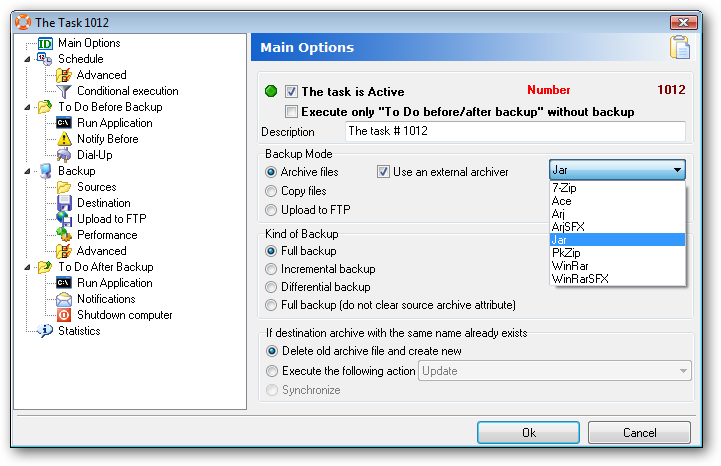 On this tab you can configure the task to use an external archiver. If you want to pack source files with an external archiver, check "Use an external archiver" option and select an external archiver configuration from the list box. In this list box APBackUp shows all the configuration files found in the application's home directory. If "Use an external archiver" flag is not set, APBackUp will use built-in Zip (Zip64 compatible) archiver.